The events marks 154 years since President Lincoln signed the D.C. Emancipation Act. The United States, as a result of this 10-month war in 1898, established itself as a global power. I can count on Pelican Publishing to release culturally-reflective books including this new release. Just as the makeup of families has changed, so have the ads targeted to them. The program also includes presentations by Gina Paige of African Ancestry. Donna Edwards seeks to make history. Will America finally get a Black female senator? The Hill Center will honor America's first liberated slaves with a free walking tour, concert, and discussion series April 15-17. Additional events include a lecture by Port Of Harlem contributor C.R. 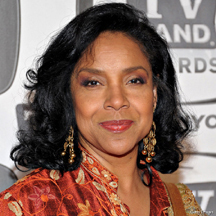 Gibbs at the Frederick Douglass Historic Site April 16. All of the events are in Washington, D.C. The events marks 154 years since President Abraham Lincoln signed the District of Columbia Emancipation Act, which freed more than 3,000 enslaved Africans held captive in D.C., nearly nine months before the Emancipation Proclamation. The Hill Center, which is housed in the Old Naval Hospital, named its emancipation events for the Old Naval Hospital's first patient - - a young African American seaman taken prisoner by Confederate ships - - Benjamin Drummond. In commemorating the end of slavery in the nation's capital, Hill Center will present three days of celebratory and scholarly programs. These free and public events will bring together a diverse group of prominent scholars, artists, and public figures for programming that will engage attendees in a deeper understanding of the African American experience. The Executive Office of the Mayor of the District of Columbia, the Humanities Council of Washington, DC, the American Historical Association, and the Association for the Study of African American Life & History are sponsors of the events. The events marks 154 years since President Lincoln signed the D.C. Emancipation Act, nearly nine months before the Emancipation Proclamation. 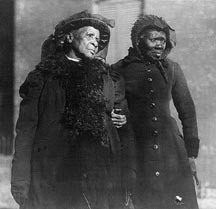 Photo: Two elderly attendees of the 1916 Convention of Ex-Slaves in D.C. When reflected on by historians, the Spanish-American War was mean and short. The saving grace of the conflict was that, as an editor of the Atlantic Magazine observed, "we have found ourselves the captors of islands in both great oceans; and from our home-staying policy of yesterday we are brought face-to-face with world-wide forces in Asia as well as in Europe." The United States, as a result of this 10-month war in 1898, established itself as a global power. In a military struggle of such consequential impact, it is natural to seek out those individuals who helped effect such awesome change. The War with Spain provided history with an imperishable catalog of such personalities and places as Admiral Dewey in the Philippines and in charge of the Rough Riders up San Juan Hill Theodore Roosevelt. But they were not the only American actors in the bloody campaign. Comes now Jerome Tuccille's “The Roughest Riders, The Untold Story of the Black Soldiers in the Spanish-American War.” His book is actually a sweeping chronicle of the largely overlooked contributions of men who too often found their services and sacrifices a downplayed footnote by many mainstream historians. While Tuccille's stated objective is the Spanish-American War period, he recounts the achievements of African American soldiers from Cuba to the desegregation of the American military in 1948, under President Truman. Working on such a vast canvas allows the author to compare and contrast disparate events and figures with the practiced hand of an author thoroughly familiar with his subject matter. As we view the passing parade of leaders, battles, and ordinary troopers, we do so with an awareness none of the soldiers or watching public could have had of the context of the engagements or contending forces on both sides of the battlefield. There is judicious use made of important letters, journals, and other contemporary sources. His descriptions of the fighting around El Caney have a vivid you-are-there quality which certainly engages the reader. Many people are familiar with the role of the Buffalo Soldiers in the post-Civil War frontier operations against the Native American nations, but their heroism and accomplishments in Cuba and the Philippines are substantially less famous. Tuccille admirably bridges the gap in the popular memory, bringing to the task immense skill, knowledge, and research. And yet, there are some confounding omissions and errors which could have been prevented with a firmer editorial hand. On page seven, the text appears to indicate that Benjamin Grierson, if not Edward Hatch, were African American. They were not. There is only a passing reference to Edward L. Baker, a 10th Cavalry veteran, who earned a Congressional Medal of Honor at Santiago, Cuba. Oddly the Battle of Tayacoba (Tayabacoa), Cuba in which four men of the 10th Cavalry won the Congressional Medal of Honor in a single engagement is entirely missing. A number of contemporary newspapers in the states carried accounts of these awards. Some Black newspapers took the issue further writing that in the light of such large-scale heroism, some of these heroes should have been rewarded with officer commissions. Better and more tactical maps would also have improved the reader’s comprehension of the ebb and flow of battle. And, once the author moved beyond the Philippine War to the Truman administration, the inclusion of at least a mention of the role of Black American women in the Spanish American War seems both fair and reasonable: The nearly forgotten efforts of Mrs. Namahyoke Sockum Curtis to recruit Black nurses and the services of the more than two dozen Black nurses at stateside hospitals should have been recognized. 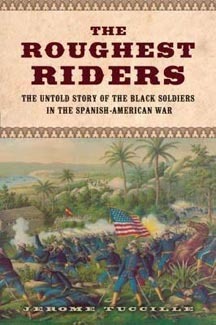 Writing in 1899, Theodore Roosevelt noted that "the guns that thundered off Manila and Santiago left us echoes of glory but also left us a legacy of duty.” Nevertheless, In the "Roughest Riders," Jerome Tuccille has rescued the glorious legacy of the Black soldiers who fought in Cuba and the Philippines from historical oblivion and made their exploits accessible to a new generation of readers. Also see, WWII Tuskegee Airman Lt. Colonel Harry Stewart’s story along with other World War II veterans in "We Had a Job To Do: A Basic History of World War II Through the Eyes of Those Who Served" by Theresa Anzaldua. I can count on Pelican Publishing ($16.99) to release good culturally-reflective books including a new release, “Mr. Okra: Sells Fresh Fruit and Vegetables.” As expected, though I have no Louisiana roots, I could relate to nuances of African-American life as told by writer Lashon Daley. And though I am no colorful fan of Louisiana, the artwork by Emile Henriques is bright and booming, just as kids love and adults admire. The story is based on the life of Arthur Robinson, who has been selling fruits and vegetables from his truck in New Orleans for years. 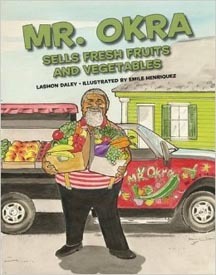 As you and your favorite children thumb through the book, you will point and name the fruits and vegetables with excitement as Mr. Okra’s day in a different, but familiar neighborhood unfolds. We all know by now that the American family looks a lot different than in the past. Whether defined by LGBT parents, nonmarried parents, or stay-at-home dads, two out of five households today do not fit the traditional mold, notes a new report, "Family Diversity Is the Norm," from YouGov and Johnson & Johnson-owned parenting site BabyCenter. But exactly what does that mean for brand marketers? Just as the makeup of families has changed, so have the ads targeted to them. Among the campaigns depicting people outside the cookie-cutter casting call were: "This Is Wholesome" from Mondelez's Honey Maid, "Learning Sign Language" from Wells Fargo and "Like a Girl" from Procter & Gamble's Always. Port Of Harlem magazine’s charity, Port Of Harlem Gambian Education Partnership (POHGEP), has won a grant from DC Humanities to complete its “Self-Discovery through TV, Family Trees, DNA Tests, and Facebook ” program. The project focuses on about ten members of the Richard England Boys and Girls Clubhouse on Benning Road, NE in Washington, D.C. learning about themselves through genealogy. The project began with a two-hour Facebook chat with members of the POHGEP Facebook Friends who live in the Gambia: Yahya Ibn Omar Jatta, Sheriff Jassey, and Rugiatou Bah. The Gambia was a leading source of many enslaved Africans. The program also includes presentations by James Morgan of the African American Historical and Genealogical Society; Kenneth Despertt, DC Public Library Special Collections Librarian, and Gina Paige of African Ancestry. With grant funds, African Ancestry will use the DNA of two of the students to trace their ancestry back to a specific present-day African country of origin. Each student will also research and create their family tree. Toward the end of the project, the students will continue their self-discovery journey with tours of the National Great Blacks In Wax Museum and the Reginald F. Lewis Museum of Maryland African American History & Culture in Baltimore. The POHGEP has been connecting people since 2002 including Tina Thompson of Springdale, Maryland, a descendent of Kunte Kinte, and her cousins in Gambia. 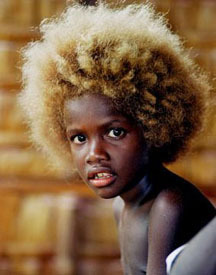 She took her first trip to Gambia with POHGEP in 2006. She has since started her own mission trips and is currently in the West African nation. This mission includes a gospel concert at Glory Baptist Church in Old Jeshwang, Friday, April 15, at 6:00 p.m. The concert is free. POHGEP is still accepting clothing for our Gambian partners. Donated clothing is fully tax deductible. 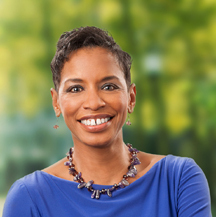 A Washington Post-University of Maryland poll showed a neck-and-neck race, 44 percent for Donna Edwards (pictured) to 40 percent for Chris Van Hollen for the vacant Maryland U.S Senate seat. Edwards led by 10 points in a Baltimore Sun/University of Baltimore poll last month. The Post survey showed Edwards leading among likely Black voters by a 3-to-1 margin, while Van Hollen is ahead among White voters by more than 30 points. The New York Time reports that Congress remains a difficult partner on the Zika virus front. The newspaper says President Obama in February requested an emergency appropriation of $1.8 billion to deal with Zika, but the Republican-led Congress said the administration should first use money set aside to combat Ebola. 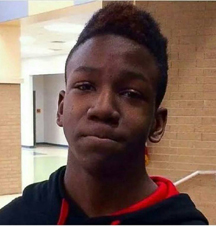 But national health officials argued that such a stopgap measure was not enough. If Congress does not provide the needed funds, Dr. Fauci, the director of the National Institute of Allergy and Infectious Diseases, said public health authorities will probably have to divert money from malaria and tuberculosis prevention programs, as well as from flu vaccine programs.